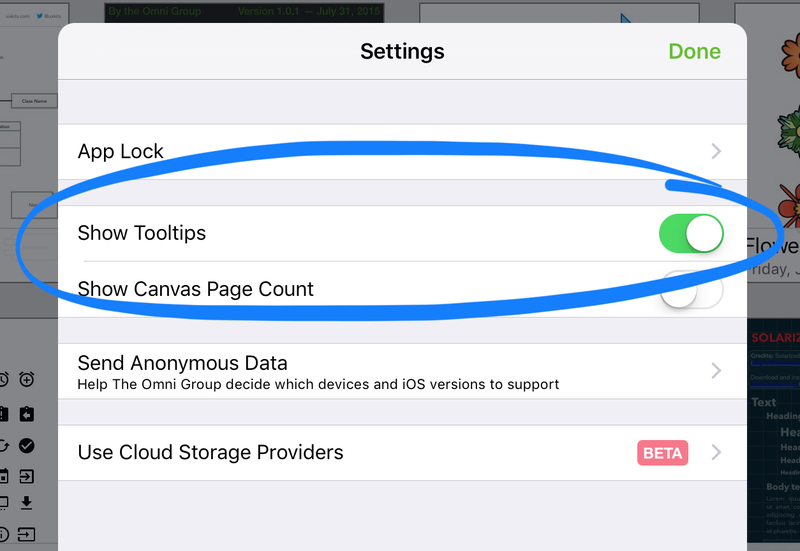 OmniGraffle offers tooltips that help you learn about tools and features of the app. Once you’re a pro though, you can turn these off in the settings screen—look for the “Show Tooltips” setting. Our documentation has a bit more about OmniGraffle’s settings.